Trust Akins Auto Repair with your next automotive alternator replacement service. If you are having issues with your charging/starting system we are here to help. Detecting an issue with a faulty alternator, battery or starter is something we are able to determine. 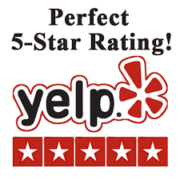 Here at Akin’s Auto Repair we provide services such as: alternator replacements, starter replacements, battery replacements, detection and repair of electrical shorts and drains, power door lock and window diagnostic and repair and correction of vehicle lighting issues[license plate lights, tail lights/brake lights, headlight bulbs, including factory xenon bulbs]. We do not provide service for aftermarket lighting/electrical items. We offer service and repair for most manufacturers. An alternator is a device that uses a rotating iron shaft that is wound with very thin copper wires into what is called a field winding. The ends of the windings are connected to a regulated voltage source. As the vehicle needs more voltage, the electrical system provides more electrical current, which is applied to the field windings on the rotating iron core (the “rotor”). This creates a magnetic field that induces AC voltage into a surrounding set of copper windings (called the “stator” because it is stationary). The AC voltage from the stator flows through a set of one-way electrical gates called diodes. The diodes only allow DC voltage back into the electrical system by way of the B+ or battery output terminal on the back of the alternator that is directly cabled to the positive terminal on the battery. The failing alternator symptom most drivers recognize is dim or flickering lights. This is really obvious when headlights are on at night but also noticeable in dash lights and the center dome light. If the lights brighten as RPMs pick up, that’s even more of a sure sign. Another obvious sign is the one your vehicle tries to tell you. This varies by the model, but when the alternator starts to let go, it can light up a “Check Engine,” “ALT,” or a battery icon indicator. The serpentine belt could have stretched with age and may not be spinning the alternator pulley effectively, leading to a lack of charge. This typically results in a squealing noise. On the other hand, the internal bearings can wear out, causing a growl or grinding noise. Electrical vehicle equipment, like power seats or windows, may be slow to operate. Without enough power, sometimes the device will not function or will suddenly stop working, like the radio turning itself off. If the engine suddenly cuts while driving, it could be an alternator issue. Fuel injection needs a good amount of electrical power, and without it the engine quickly stalls. Without a functioning alternator, the vehicle quickly uses up all of the battery’s capacity, leaving it drained. Pop the hood and check the battery, and you might think you’ve found the culprit. A fresh battery and a malfunctioning alternator, however, will quickly leave you stranded again. Here’s what to do. If it starts to fail, a lot of other things in your car will stop working. The alternator in your car is responsible for keeping the battery charged and making sure all the other electrical systems in the car have plenty of power to operate. The alternato while it’s slowly going bad and avoid being suddenly stranded. Here are some of the things you should know. If the alternator dies, the battery doesn’t get a charged and rebuild its power storage from any drain it had to cover. When the car is running, the charging system (alternator, voltage regulator) should recharge the battery and provide sufficient electrical power to the vehicle. The battery serves as a backup. If the vehicle requires more electrical power than the charging system – alternator – can provide, the battery covers the difference. This can happen in cold weather, especially if you’re stuck in traffic, in snow or rain. Lots of stop and go, brake lights are on and off constantly, headlights on, heat and defog, interior dash lights, devices like smartphones being charged, radio and any other hi-fi equipment that requires power (boomin’ system), possibly integrated wireless, Bluetooth, onboard computers, entertainment systems like DVD players, games, internet/satellite/cell service connections. It all takes electrical power. The alternator has a pretty tough job. Related: Have You Checked Your Car’s Electrical System Latelyr produces electricity that is stored in the battery. The battery, in concert with alternator, helps run all the electrical systems and accessories in your car, including the ignition and engine control systems. The alternator is belt-driven by the engine and produces an alternating current (AC). The AC is converted to 12-volt direct current (DC) by the diode bridge. Know the warning signs of a failing alternator and what to do if it goes out. The alternator by itself can be the cause of dimming lights, fading radio, and/or stalling. If the alternator is going bad, you will notice that dashboard lights appear dimmer than usual. Additionally, you might notice that other lights, like the interior cabin light or even the headlights just are not as bright as they should be, perhaps even yellowish. You might notice the lights going dim when some other part of the car kicks in, like the engine cooling fan – and when it stops, the lights return to a somewhat brighter state. This could also be a symptom of other problems within the electrical system that should be checked. 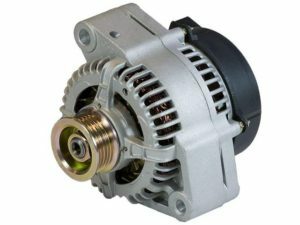 The alternator provides power to the car’s numerous electrical/electronic accessories, from power windows and seats, dash lights, radio and horn to computer chips, GPS and internet connectivity. When things start to go dim, fade out, flicker, or just plain die, it’s a good hint that your alternator is dying, too. Most cars are equipped with a check engine light that comes on to indicate that something is wrong. There is a standard lineup of things that could be wrong if the check engine light comes on, but if the car has a separate battery light, that means something more specific. Some cars have an indicator light on the dashboard titled ALT or GEN, sometimes it is in the outline of a battery to indicate general power or electrical issues (which is where your alternator comes in). Funny how a little light can change your day, or maybe your life. In this case, the alternator or battery (or both) is having a problem. If all the status lights on the dashboard come on, that’s a sure sign of imminent catastrophic failure. if your car just won’t start, there is most likely a problem in the starting system. If you turn the key in the ignition and all you hear is a click-click-click, or nothing at all, it usually means a dead battery. Why is the battery dead? It’s either old or it’s not being charged by the alternator. The battery’s job is to provide power to the starter to get the car started and all the systems running, including the power/charging system. The battery is not meant to be a long-term power source. Even the best new battery will run down eventually under constant drain with little or no recharge from the alternator. But when the alternator fails, it’s up to the battery to provide electrical power to everything in the car. Diagnosing a dead battery is easy, though. Jump-start the car, remove the jumper cables, let the car run, and wait. If the alternator is dead or weak and not effectively charging the battery, the car will eventually stall. But the best way to determine if the problem is a dead alternator or dead battery is simply to test the battery with a voltmeter, which you can get at most auto stores. There are parts inside the alternator that spin to produce an electrical current. If one of those parts breaks or wears out, you might hear grinding or whining. The bearings inside the alternator can wear out and cause a lot of noise, like rattling. The alternator pulley spins two or three times faster than the crankshaft pulley, and can wear out, become loose or misaligned, and start to squeal or growl. A worn out bushing, which the alternator is mounted on, can cause strange noises, too. If the belt on the alternator pulley is slipping or not properly aligned, it can result not only in poor alternator performance and power output, but can cause strange smells. The smell of burning rubber is common in alternator failure situations, so if you smell this in conjunction with strange or less than ideal electrical system performance, you should take your car to a mechanic to have things checked out. The alternator is an electrical-generating device with a belt-driven pulley, which is turned or driven by the engine. 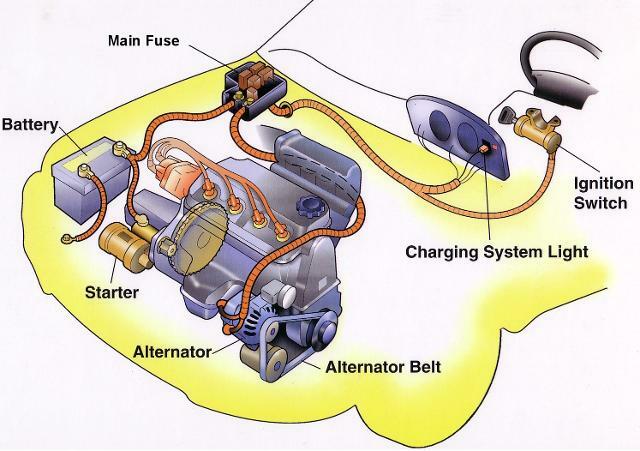 Once the engine is started, the alternator supplies the electrical energy the vehicle needs. The alternator sends electrical energy back to the battery in order to keep it fully charged. When the vehicle is running, the battery stores a large reserve of electrical energy to be used during moments of peak electrical demand (like on a cold, dark, and rainy morning when the lights and heater are on, the windshield wipers are working hard, the seat warmers are on, and the electric windshield defrosters are operating). When the vehicle is stopped and the engine is idling, the alternator cannot keep up with all of this electrical load, so the electrical system will draw energy from the reserve in the battery to meet the demand. When the vehicle is moving, the engine turns the alternator much faster, therefore generating enough electricity to meet (and exceed) demand—this is when the battery is recharged. In modern vehicles, the amount of voltage supplied by the alternator is regulated by the engine computer where previously, a voltage regulator was built in to the alternator itself. Due to the growing number of onboard computer systems and the fact that newer vehicles need to maintain an ever-tightening envelope of voltage, the voltage regulation was transferred to the more powerful and sophisticated engine (or power train) computer. Please call for an appointment. 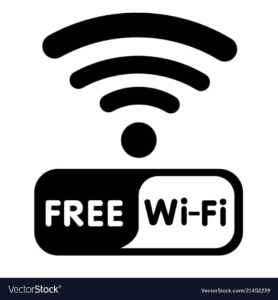 Our services are not always available. For (walk in) we are extremely busy. Thank you. 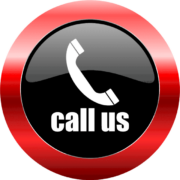 Call Us today at (408) 885-1898 to schedule all of your vehicle service needs. © 2018, Akins Auto Repair. All Rights Reserved.